On Friday, 29th March 2019 Food Active attended the National Walking Summit in Birmingham organized by Living Streets – a charity that has been promoting walking as a way of life since 1929 all over the UK. Today on #WalkToWorkDay, our student placement Magdalena Rechnio summarises the key topics and initiatives covered at the summit. Amongst other actions of the Living Streets are the national campaigns encouraging walking by celebrating May as the National Walking Month 2017 or running the WOW Walk to School schemes. More details about these campaigns can be found in the guest blog Small steps = big change. Recently, the charity has published A Blueprint for Change describing 7 steps towards creating more walking friendly cities. A broad range of speakers presented ways of encouraging the citizens to switch from driving cars for the sake of walking, cycling and using the public transport. Solutions ranged from individual ideas to local, from low cost to larger investments, but what they had in common was considering the current and future generations health and wellbeing, and equally importantly, the environment. Walking and cycling as a means of commuting is not very popular amongst the English employees; only at average 6.3% adults cycle to work once per week, a number which reduces to 2.1% of those who do it on a daily basis. Walking statistics are a bit higher, with 41.6% choosing this form of travel to work once per week, however, again nearly 2,5 times less employees commute in this way every day (i.e. 5 times per week)*. Unfortunately, these numbers are lower across the North West, which is a problem to be tackled when aiming to reduce the overweight and obesity rates. The main theme of the National Walking Summit was to primarily consider the pedestrians in both new developments and refurbishments, while withdrawing from the private car usage from the city centres and shifting to choosing the public transport supported by walking or cycling especially for the short journeys. Sustainable behaviour change requires time, efforts and support at various levels, but as shown below is gradually happening, hence possible. Food Active supports active travel – one of the cost-effective ways to increase the nation’s physical activity levels, which are known to be too low partially contributing to the obesity crisis. 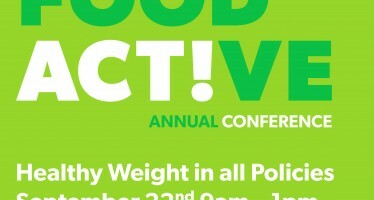 Food Active is advocating for active travel by recommending to apply measures to increase the walking and cycling such as spatial planning (e.g. speed limit zones) or influencing policies (increasing government spending on the transport and planning). 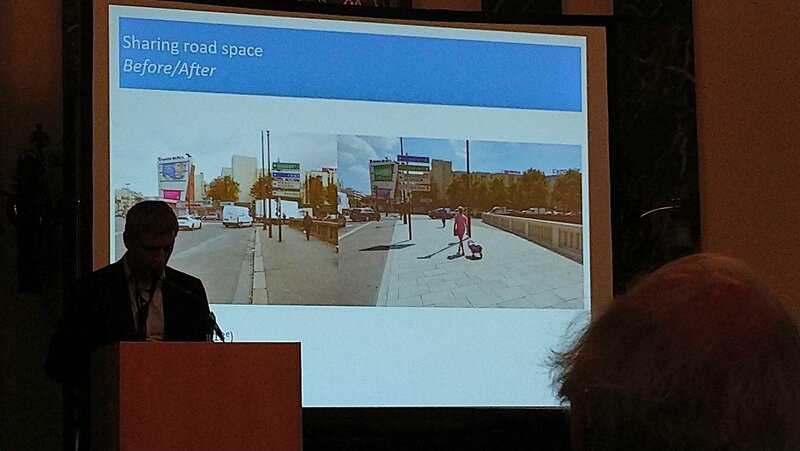 As the Birmingham City Council councillor Ian Ward said during his opening talk other reasons to increase the walking and cycling levels are air pollution rates exceeding the safe levels and the road traffic congestions mainly due to predominantly using cars for the shorter journeys (i.e. <1km) and inefficient use of these vehicles (i.e. only one person travelling with the remaining seats being empty). Andy Street, mayor of the West Midlands presented an example of how to support walking within the cities, which in the West Midlands on The Move project included identifying the key short journey routes that required changing to make the public transport use more attractive. Investments in those services and improving the infrastructure, such as regenerating the town paths successfully led to higher rates of public transport use. Christophe Najdovski, deputy mayor of Paris for Transport provided several successful travel and public space interventions that led to rising active travel levels, reducing the inner-city traffic by nearly a third and a decrease in the car ownerships. 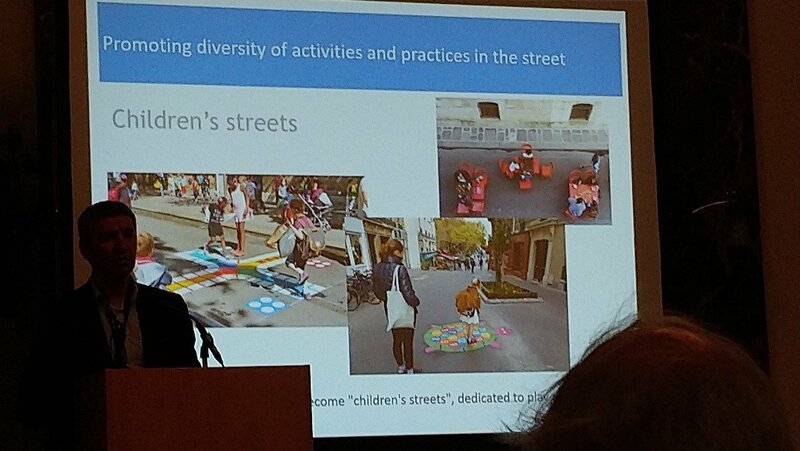 The Parisian mobility policy implementation examples included narrowing the streets to increase pavements area, reclaiming streets for the children and families, introducing a car free day (which became so popular it is taking place on a monthly basis), free car parking distanced from the city centre, but near the public transport stations to facilitate access to them. 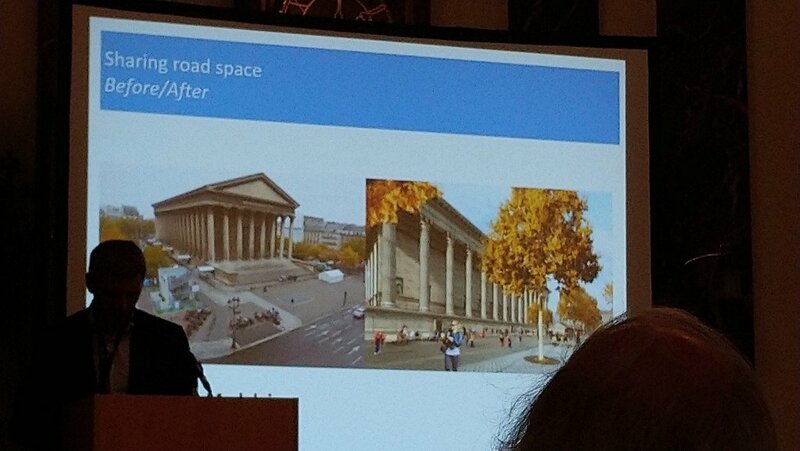 What needs to be underlined is that despite certain ideas seemed controversial and met opposition at first, as the time showed they have been accepted by the public, including the car users, benefiting all common space users. BEHAVIOUR CHANGE – how to make it happen? 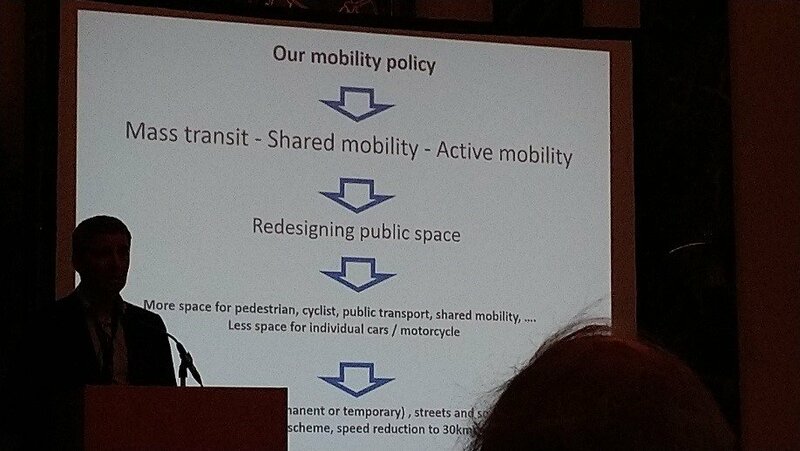 As the problem to increase the active travel rates amongst the quite inactive UK population is a behaviour change issue, below are some examples how various cities approached this. They focused on the redesigning the public spaces with the pedestrianisation in mind, leading to the changes in travelling and commuting habits without actually the citizens realising it. However, the pedestrians are more welcomed in the building and planning changes, while the car users are discouraged to use their vehicles for the sake of becoming pedestrians. Other strategies included ‘Walk to school’ scheme, where the primary school children appeared to have the power to impact on the adults’ behaviour, i.e. abandoning the reliance on cars when travelling to school. From January 2020, the Birmingham Clean Air strategy will aim to improve the air quality by introducing the car levy within the Ring Road zone in order to urge the public to rethink their car (over)usage. 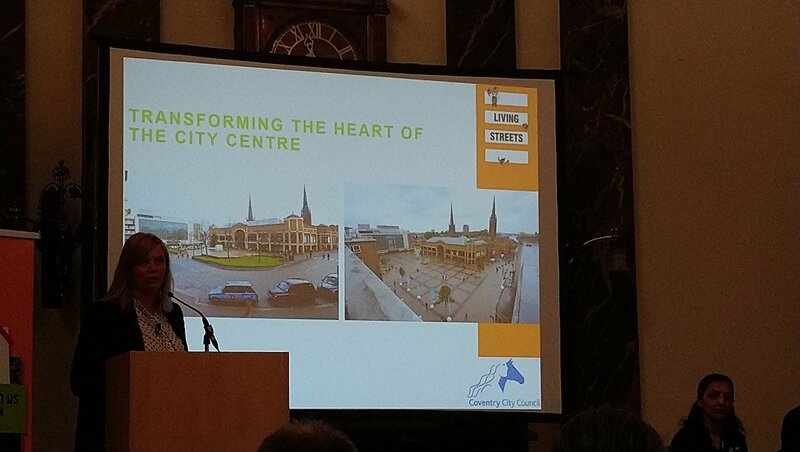 Jo Shore, head of the infrastructure and delivery from the Coventry City Council inspired with the examples of building and planning transformations to make the city centre more walking friendly. She underlined it is crucial to create accessibility for all age groups and abilities, improve the safety and exterior of the facilities (such as the underpasses), but also consider the major population characteristics, which in the Wolverhampton case are the students. Simon Lucas, Wolverhampton regeneration officer spoke about the potential hidden in the post-industrial land – Bilston Urban Village. Crucial for the successful development plans was the mixed use of the space, with the pedestrian primacy and creating the walking option more user-friendly, convenient and pleasurable (the presence of the green space for instance). From the panel discussion chaired by Ben Still, West Yorkshire Combined Authority and Urban Transport Group managing director, it emerged that the ingredients for success are not only cooperation and communication between the policy makers, businesses and planning departments, but most importantly listening to the communities as they are the end users, who can reveal barriers the previously mentioned parties may be unaware of. The Living Streets Charles Maher Award recognised that even individual ideas can have a wider positive impact on the health and wellbeing of the city dwellers. These included ‘People Parking Bay’ which first was declined as ‘a system error’, however thanks to the determination and local support the grey car parking space transformed into a green zone where the local community members meet and spend time. It proved so popular that several other bays have been created. Presentations from the various community campaigners showed how effective low-cost actions can be, for example voluntary car free moth initiative, reducing the pedestrian crossing waiting time in London, decluttering the pavements (removing the A-board stands and other obstacles reducing the pavement surface area). It was uplifting to see The Phoenix Group, the summit sponsor, supports the Walking Friends project working towards improving the health and wellbeing of the senior members of the society, which results not only in the rising physical activity but also the community spirit and friendships building, reducing the isolation problem of this age group. A message for the planners, policy makers and councillors is to zoom in and out, focus on the details (i.e. listen to the communities), question whether the changes to be introduced are practical, and whether they will sustain in the future. 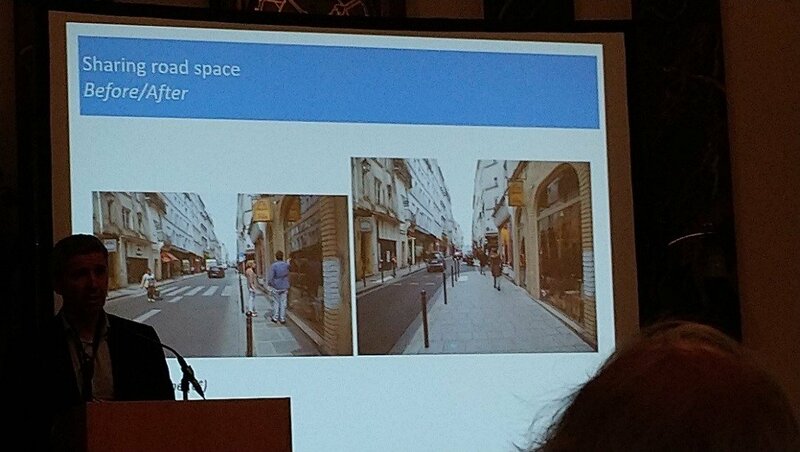 Redesigning and designing the public space requires giving the pedestrians the priority. Spotting opportunities for improvement, in both the already existing infrastructure and new developments is important as well. This requires thinking innovatively, trying to predict the long-term effects, which not necessarily requires great financial input, for example placing bollards to filter the traffic from the larger vehicles or choosing stones instead of benches to encourage public space occupation. Being open to the citizens’ ideas even if they seem unimplementable such as the people parking bays, may be a cheap puzzle to the positive behaviour change pathway. Although the active travel requires the multi-agenda approach and cooperation, current actions of the governments, organisations and individuals are proving the walking culture is becoming more fashionable. Congratulations to Living Streets for organising the event gathering a range of speakers showing that a change can happen at various levels, the speakers who inspired and reminded that by working together we can build a better future. Magdalena Rechnio is currently a final year undergraduate nutrition student at the Liverpool John Moores University undertaking a placement with the Food Active. Her main interests are primary prevention of diet-related diseases with a special focus on education to increase the levels of the procedural knowledge of food and nutrition (i.e cooking skills, food choices, sourcing the nutrition-related information). 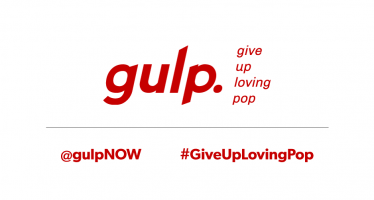 She is currently assisting the Food Active with the project investigating the marketing strategies the high fat sugar and/or salt food and drink companies use to promote their products. 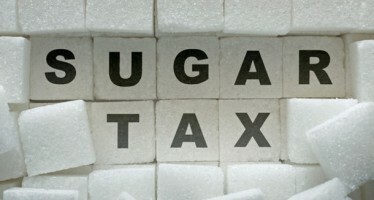 The sugar tax has arrived – but how did we get here?